Debuting in U.S. arcades nearly three years ago came a phenomenon among common gaming. 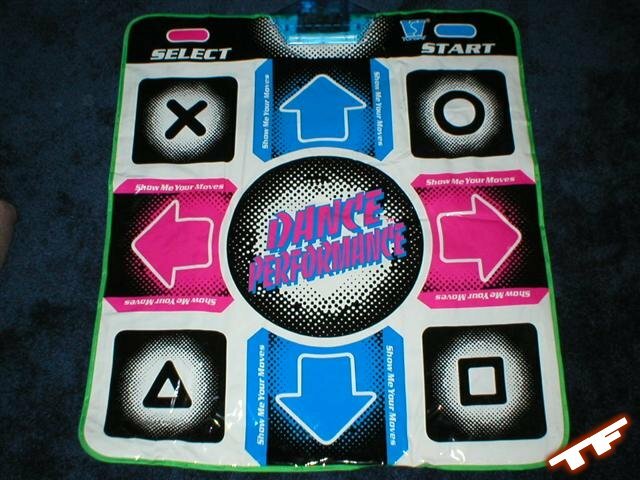 Dance Dance Revolution was one of the first, and still one of the few, to incorporate physical movement during game play. Using their feet and a pad, players are given the ability to not only complete a song/level, but to do it with style: Adding a new essence to an already challenging game. DDR's concept is simple, but takes work to understand, and even longer to master. There are four directional arrows at the top of the screen that flash in sync to the beat of the song. Arrows creep up from the bottom of the screen and when the arrows match each other at the top, you step on the corresponding arrow on the pad. It may seem hard to understand at first, but the learning curve is relatively gradual; just about anyone who can stand on their own two feet can do it. If you're not stuck on the whole dancing concept, it is more than likely that there is a DDR machine at your local arcade. For about $1, you can play up to three songs, depending on whether or not you pass the previous song. For $1, it is very much worth the experience. To find the nearest DDR machine, check out DDR FREAK's listing. 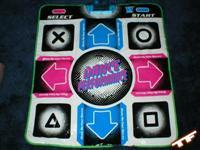 The common dance pad used for playing DDR at home is known as a "Soft Pad." Soft Pads consist of a soft plastic-like sheeting; housing the needed electronics inside. Due to sensitivity of the soft pads, you cannot wear shoes with them otherwise the pad will tear. There are two types of soft pads: the official Konami ones and the third-party knock-offs. Konami pads are made of a heavier, more durable material, but can cost upwards to $50. Third-Party pads are made of cheaper materials to keep costs down and are more likely to tear and break faster than the Konami pads, but these pads typically only cost between $20 to $30. After a couple of torn and broken soft pads, the most advanced DDR players sought after the feel of the metal pads they experienced at the arcades. There are several diagrams and instructions on the web to create the pads, but require a lot of time and some prior experience or knowledge behind electrical wiring and welding. Because of the difficulty involved in building these pads, several companies decided to build them for the inexperienced. A popular internet-based company, Cobalt Flux, is one of the leading metal pad manufacturers. Since they opened, Cobalt Flux has sold over 2000 orders of their carefully designed metal platforms with outstanding warranties. The Cobalt Flux consists of nine buttons including an optional middle button for other games such as "Pump It Up." Along with the platform comes a control box that features the Start and Stop buttons. This control box was designed for the PlayStation and PlayStation 2 consoles; however other control boxes are available for other consoles. Each Cobalt Flux pad is individually built and tested with each order. Thus the total shipping time ranges from two to three weeks. The Cobalt Flux is sandwiched between a thin and thick piece of sytrofoam. This packaging method secures the pad very well through transport. The control box is neatly packed at the top of the box in a precut hole for its protection. One flaw with the packaging is that during transport the pad will cause some of the Styrofoam to chip off and get stuck under the panels. The styrofoam is easily removable, but wrapping the pad in a bag and then adding the Styrofoam cushioning would easily fix this problem. The platform's panels are covered in a white sheet to prevent scratching. To remove, you simply peel them off. The manual warns not to unscrew the panels to remove these sheets as that can misalign the holes. I thought this was a very nice touch. The manual helps you troubleshoot certain problems and teaches you how to adjust and clean the panels. It is important to read this before you take the pad out of the box to avoid any problems. The kit comes with four anti-slide feet to prevent the platform from sliding on hard surfaced floors. Although it is not required, it is highly recommended to put them on to reduce chances of slipping because of platform movement. They are easy to install; peel back the sticky part of the anti-slide feet and stick them on the four corners of the pad. Connecting the platform to your computer is fairly simple as long as you have an adapter. A company called LevelSix sells PlayStation to PC adapters and is the adapter of choice by Cobalt Flux owners. Get the Adapter Here. Now that the platform is connected, you need a DDR simulator. The most popular simulator is known as StepMania. 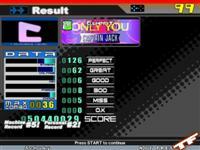 StepMania was made to resemble DDR's interface and provide an almost perfect simulation. Please note that the official DDR songs that are on the machines and games are copyrighted and are illegal to download/use without permission. 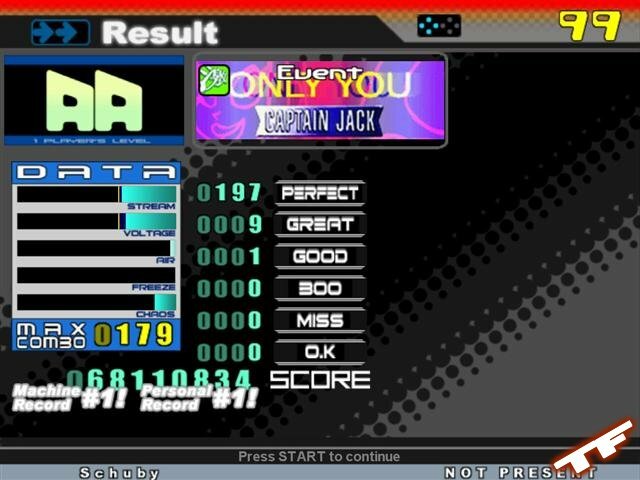 Once StepMania has launched it should automatically detect your platform and set up the buttons to the corresponding arrows. Pick a song and play, simple as that. The easiest, and most used, method of setting up the platform, is with the PlayStation or PlayStation 2, because the control box is made to output to those systems. The setup is simple, connect the control box to the platform, and then connect the control box to the console. Load up your favorite DDR game and play away. The Cobalt Flux and Soft Pad both have a good response to the arrows you hit with your feet, but the Cobalt Flux has better controlling. For example, on a hard song the soft pad will scrunch up if you don't have anything holding it down (such as tape), but the Cobalt Flux (since its composed of metal and plastic) won't be moving, allowing you to ace the song without adjusting the pad over and over again. The Cobalt Flux is being sold for $299 without tax and shipping. The fact that they don't use cheap parts, build them carefully, and test them pretty much tells you why it's so much. Only serious DDR players or experts should invest in this, because if a beginner buys this and decides DDR is not for them, they are stuck with a $300 paperweight. Out of all the metal platform manufacturers out there, why Cobalt Flux? Cobalt Flux practically perfected their building process. Who would go as far as running over their platform with an SUV? Being an avid DDR player for over a year and wasting countless quarters at the arcade, I figured it was about time for something like this to come along. Ever since I received the Cobalt Flux, there hasn't been a day where I haven't used it and I plan to keep on using it for quite a while. The warranty that comes with the Platform contains six months of free repair from when you receive it and pays for up to $40 of shipping to RMA the pad. DDR isn't just for fun and games, but can also be used for cardiovascular exercise. A website called Get-Up-Move has said that a 150lbs person playing DDR for an hour can burn up to 640 calories compared to 501 calories jogging. How's that for burning calories while having fun? 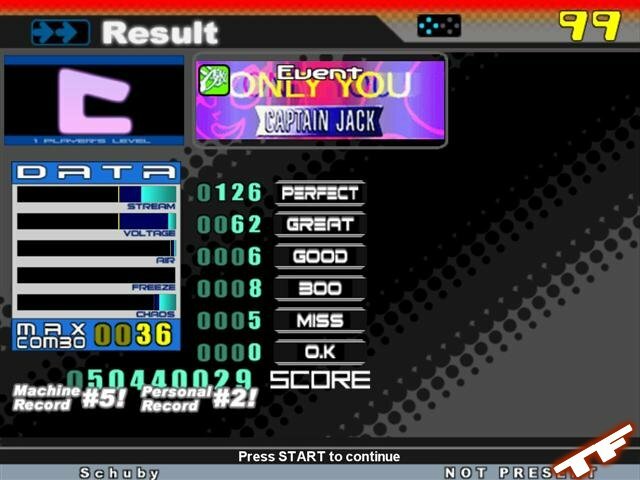 With this platform I see myself constantly improving the scores I receive on various songs, and even passing songs I couldn't pass before. Although the platform doesn't give an absolute arcade feel, it does bring a new way to enjoy DDR in the comfort of your own home. Both dance controllers have their good and bad traits. It is more of a preference than a recommendation of one over the other. Beginning users might want to stick with a Soft Pad for learning, while expert users might want to have that hard metal platform feel under their feet for a better playing style.